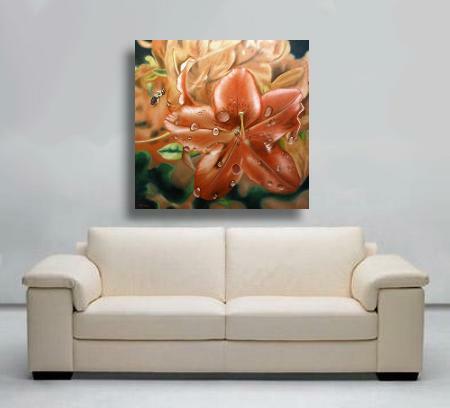 An Orange Flower Painting, "Salmon Azalea" needs an addition, what is it? 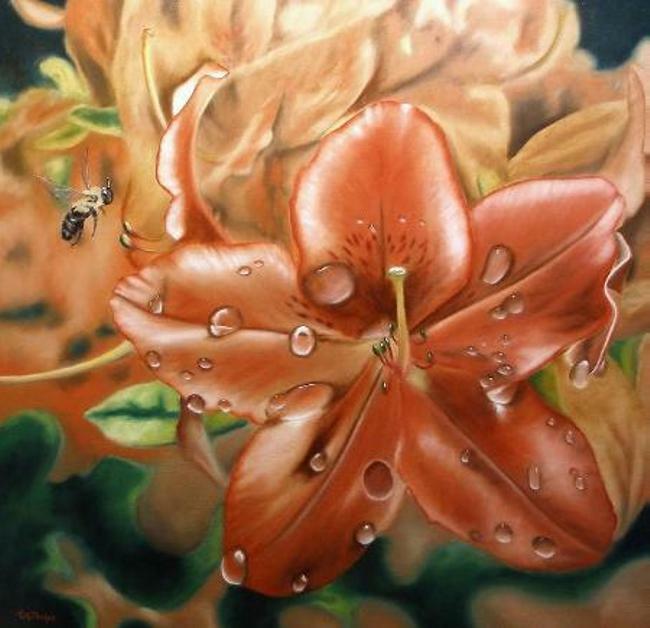 An Orange Flower Painting, "Salmon Azalea"
An orange flower painting, "Salmon Azalea". OK, this really isn't a full demonstration, but rather a tidbit of information on something you should think about when you begin a painting, not after you've finished it! The original painting. 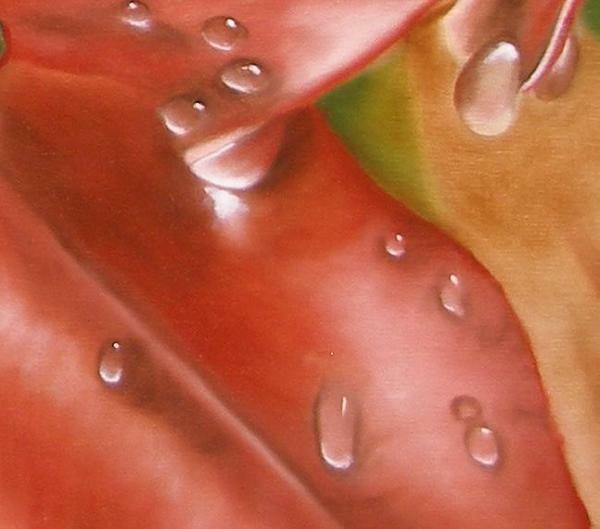 The focal point is the very front blossom with the mulitple rain drops all over the petals. Though the original has sold, but check my online gallery page on the nav bar, or my etsy store to see new works available. 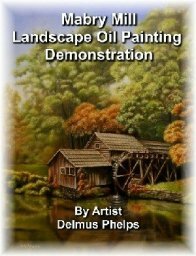 I also have a personal artist page at DelmusPhelps.com if you wish to see additional paintings! 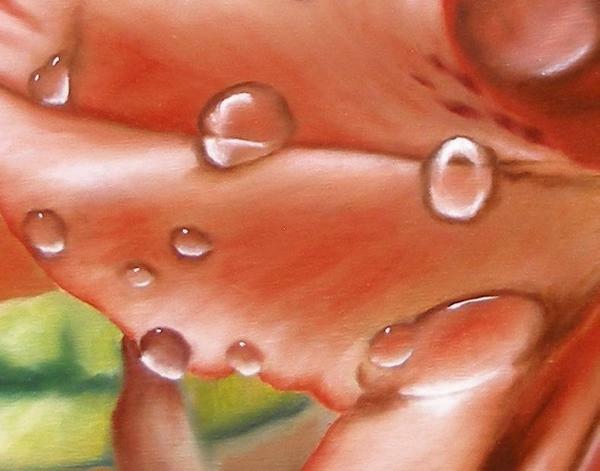 You may be surprised at the affordability of owning original art! After hanging in the gallery for a while with positive comments, something continued to bother me about the piece. After a time, rotating the piece out and getting it back into the studio I re-looked at some of my reference photo's of my neighbors beautiful salmon azalea bush. There were multiple bees buzzing around that day, not your regular honey bee, but huge bumble bees, "carpenter bees" which were in several of my photos. So I made a decision to add an element to the work. A very rare thing because of future fading issues with any major composition change. In this case, I felt comfortable due to the fact the Bee would be a dark color which is less likely to fade in a hundred years or so. 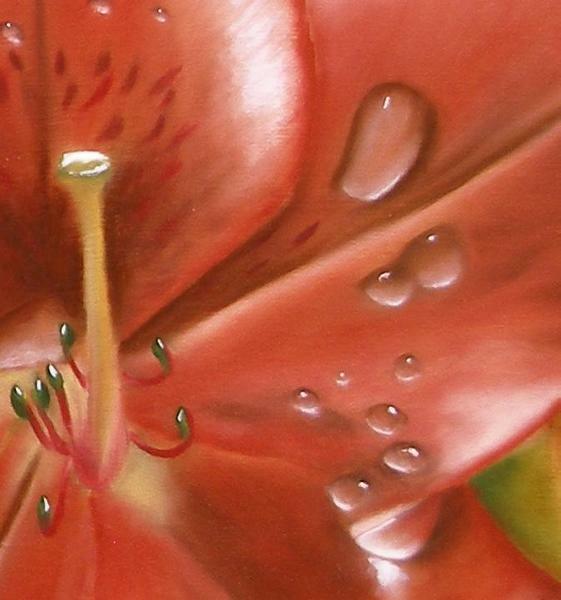 The flower blossom has a natural shape that leads the eye from the lower right of the canvas up through the blossom and towards the petals just behind the main blossom on the left. 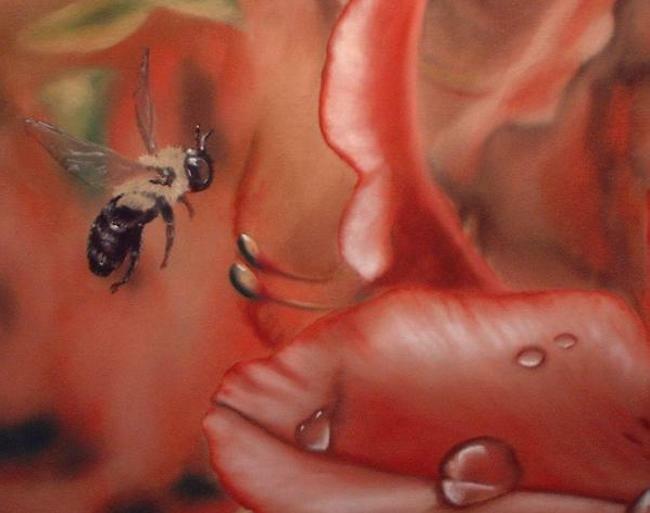 Now, because the painting is a fairly large painting, 30" x 30", this bee is pretty big too. I really enjoyed painting the fluffy yellow fur all around his body. The wings were simply a few strokes of gray. 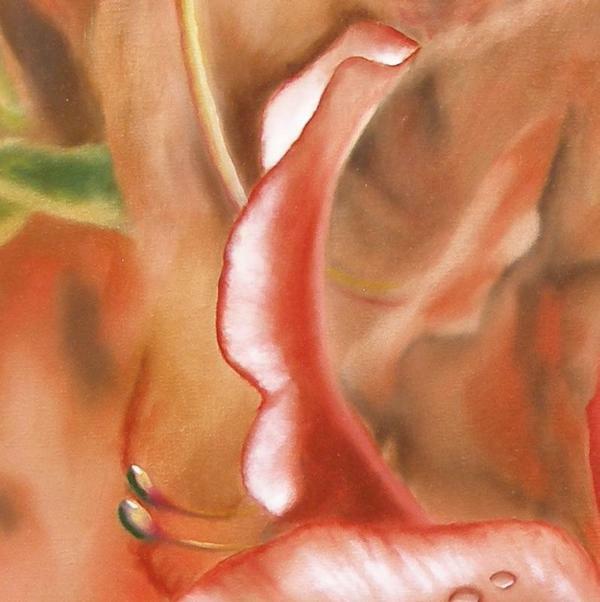 And a few additional closeups of the beautiful salmon colored flower painting, Salmon Azalea. Click on any image to get a larger view. So what is the take away for those learning to paint. Don't be afraid to add something or change a painting slightly is you are going to use dark colors in the change, and you feel it will improve the painting. In this case, the painting needed this adjustment. It sold within a few weeks of being re-represented at the gallery!